Can you believe Christmas is in a week! I can't. Especially since it's been so warm her in MN. It feels like fall and I'm loving it. It's only once in a while that we have a really warm fall/winter season. I'm hoping this trend continues through winter. Fingers crossed. So that means we have no snow on the ground and it's barely even snowed this season. I have only shoveled once. Which also means my brain thinks it's move like Nov. So..................... I haven't done much for the holidays yet at all. The hardest person on my list is my husband. He is picky and has everything he really wants and is very practical. I thought I'd share some ideals I had for guys while brain storming for him. So here is my top 10 inexpensive stocking stuffer ideals for men. Since Christmas is only a week away I made sure to pick options you can find in your local stores or shipped via Amazon if you choose a faster shipping option or have Amazon Prime 2 day shipping and still get it by Christmas I hope this makes your Holiday season brighter! Every year I like to make what I call snack packs. Basically it's a food gift basket (minus the basket). This year I'm filling it with popcorn. It's whole grain and has fiber so it's really not that bad, and yet it is oh so good. Microwave popcorn is way easier to wrap and you get 3 bags for under $4 and it's super fresh since your eating it right after it pops! 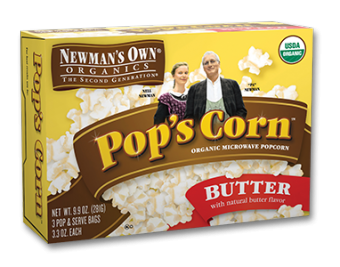 I haven't had microwave popcorn for years cause it usually has some pretty bad chemicals in it like fake butter, but not Newman's Own Organic popcorn. I tried this recently and I'm in love. You can find this at all super Targets (it was at mine for like $2.69), Lund's and Byerly's, and likely at your local co-op (it was $3.69 at my local co-op so super target was way cheaper. You can see where it's carried at by you at Newman's Own's Website. 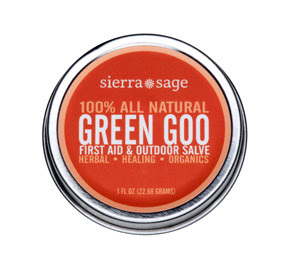 Green Goo is a first aid tool for all your basic injuries, skin repair, and to reduce itching and inflammation of mosquito bites. Sierra Sage was nice enough to give me some to sample. I haven't had a need to use it yet but I love to be able to add another all natural product to my medicine cabinet. I also love that it would be easy to travel with since it's in a metal tin and is perfect to slip into a backpack or pocket for when you are on the go. Green Goo is enriched with a high concentration of antibacterial and antiseptic herbs designed to help repair and heal wounds. This product is a natural alternative to Neosporin ® and Hydrocortisone creams. Additionally, Green Goo® helps soothe chafing from sports such as biking, hiking, climbing and water sports. You can buy it online at Sierra Sage Organics for $7.95 You can also check out JR Watkins first aid salve for $11.99 at Target. Who doesn't need lip balm? And why not get some that are all natural and in a fun flavor. I think the honey and eucalyptus in Burt bee's could be nice for a gift. 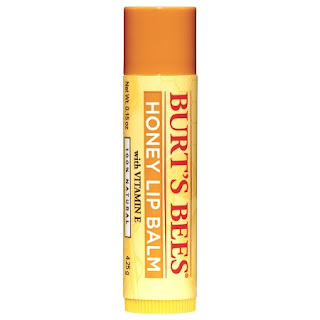 Burt Bee's is in just about every store, but there are many other brands with all natural lip balm to chose from. If you want to find other brands of all natural lip balm check out your local Co-op or Whole Foods. Whole Foods even have there own 3 pack of natural lip balm. I bought it years ago and liked it. Whole Food's Organic Lip Balm pack comes in Cranberry Orange, Sweet Peppermint, and Sweet Vanilla are each infused with coconut oil, beeswax, and shea butter. You can also make your own. It's not as hard as you might think! Check out my recipe for Lemon Tea Tree Honey Lip Balm and tutorial here. 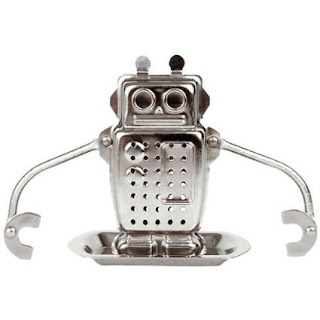 Use this charming robot stainless steel tea infuser to prepare your favorite loose tea. His arms and hands move to create a custom fit to your favorite tea mug. Rest him on the included drip tray when your tea is steeped. Use his antennaes to open and close. Find it here on Amazon. This would be great to throw in a backpack for hiking or camping, in a drawer at home, or in a glove compartment in a car. 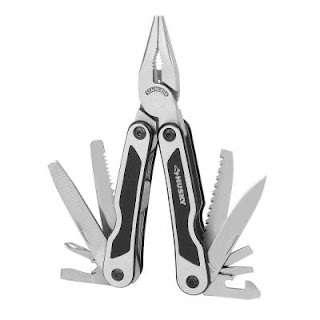 The Multi-Tool is great for use at home, on the job or outdoors. 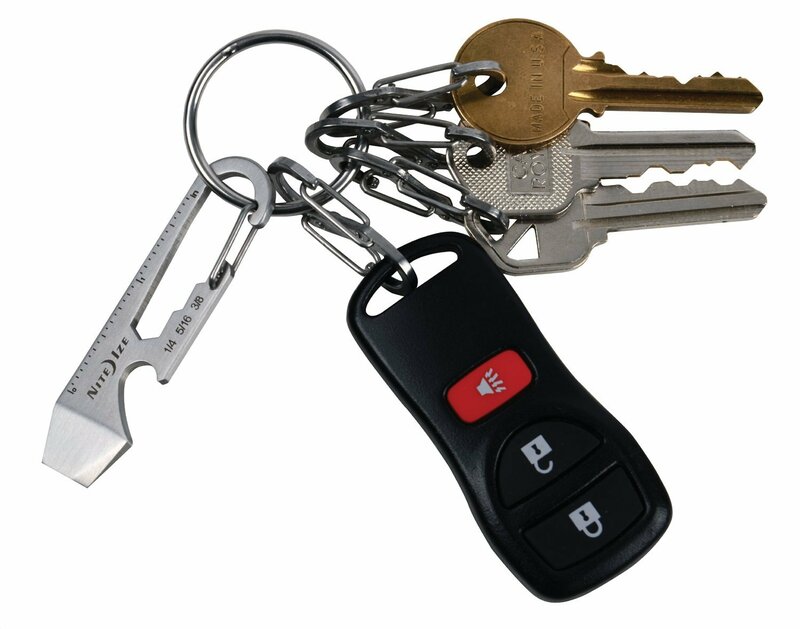 The tool is stainless steel and features a convenient folding design. The compact folding design allows for easy storage and transport. 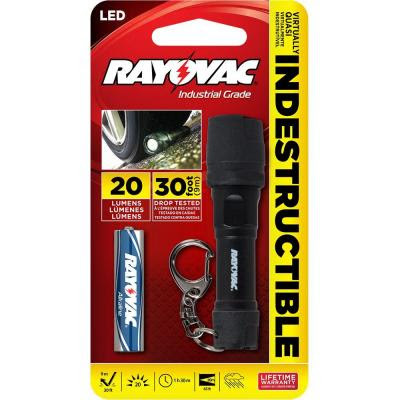 Rayovac Indestructible 1AAA Industrial Grade Key Chain has a super bright beam at 20 lumens. 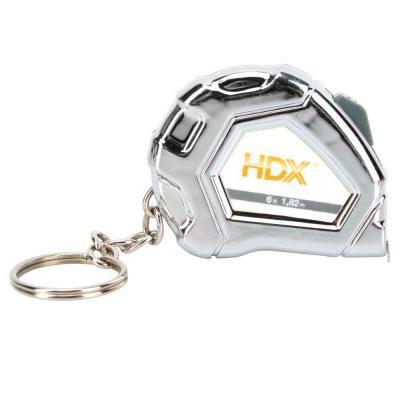 Its small compact size makes this a great portable light. It’s durable with a rubber head and tail and can survive a 30-ft. drop. This tough light is water resistant and includes the 1AAA Alkaline battery. You'd be surprised how handy a tape measure can be I actually have many all over the house cause I always seem to need one. So why not have one on a keychain too? You can also find a 3' one at Target in store for $2.50. If you want to make a simple quick gift instead of buying one check out the following ideas that anybody would likely love and are crazy easy. These are so easy even if you are not crafty! 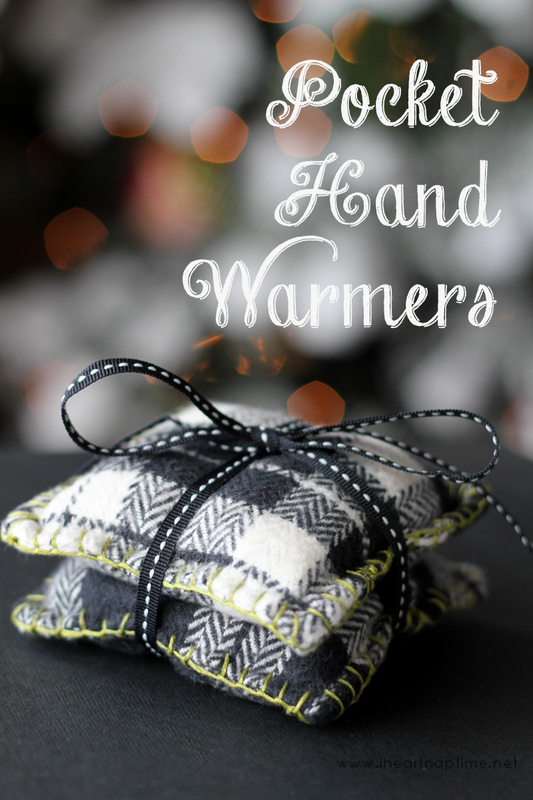 Pocket warmers are rice filled little pockets made with fabric that is microwavable (cotton or wool) they are great to put in your pockets to help keep you warm. You could make these without a sewing machine by using felt (which is felted wool and the edges won't unravel) simply skip the step where you sew it on the machine, then follow the instructs for hand sewing around the edge leaving an opening for the rice, pour in with a funnel and then continue finishing hand sewing by closing up the hole. Even if your not that crafty you can certainly pull off this gift which if given the right saying anyone would love. All you need is a mug (you could always get one from the dollar store) and a Deco Art Glass Paint Marker, Pebeo Porcelaine 150 Paint Markers, or sharpie paint markers you can find it at most craft stores or on Amazon, a great ideal for a design (simply scour pinterest and you will be bombarded with great ideas, and an oven). I have yet to try this but so want to. Something turquoise has a pretty great tutorial on how to draw on mugs without it coming off. So does it work? Crataholics Anyonomous compiled comments from their facebook page from people who have tried it before about what works and what didn't for them about drawing on mugs. If your not sure of what to write on your mug the above picture is a fantastic ideal for a gift. 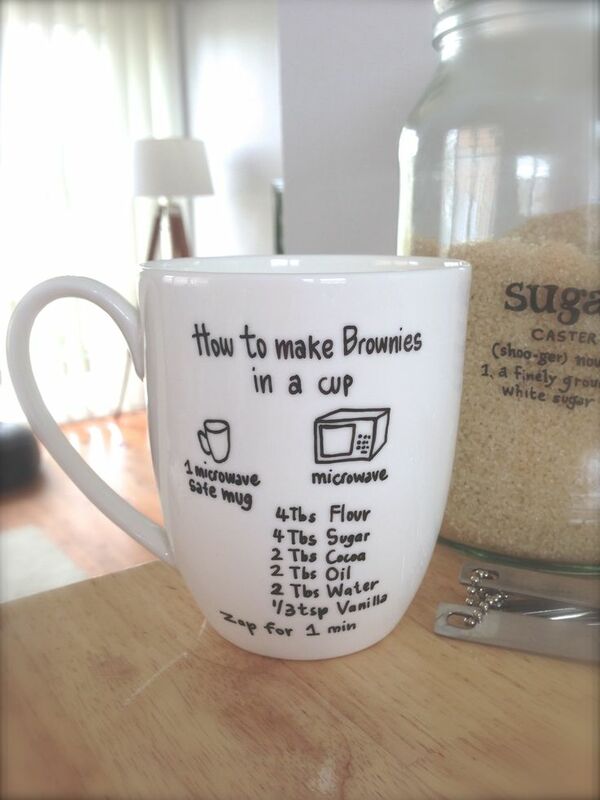 Simply write your favorite mug cake recipe on it (If you don't have one check out our cake pinterest board) and better yet make up the mix for the first batch and add it in with the gift. Get it here via StyleDahlia on Etsy. 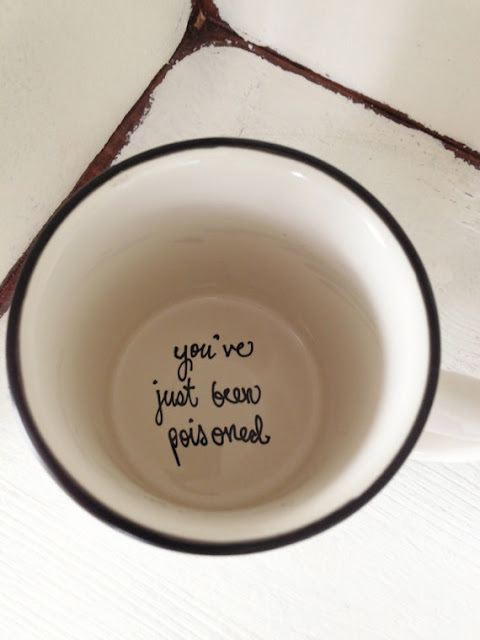 How great is this Mug? This would be so funny to serve to guest! Do you have any great gift ideas for guys you would like to share? I'd love to hear about it. Don’t forget to “like” us on Facebook. 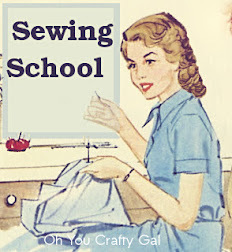 Let’s be friends on Pinterest and we can follow each other on Twitter and check out my other blog OhYou Crafty Gal.